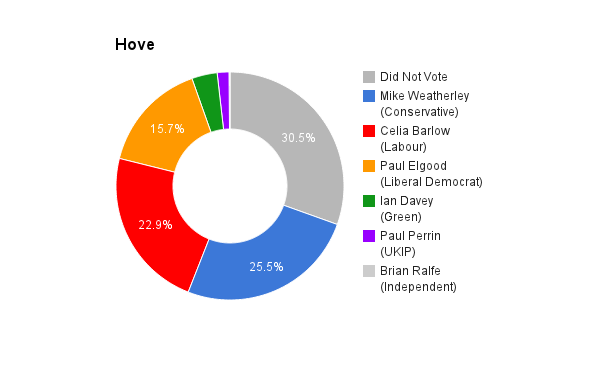 Hove, East Sussex, has been represented since 2010 by the Conservative Party’s Mike Weatherly. The constituency covers Hove and Portslade in the seaside town of Brighton and Hove. Since 1979 the seat has been a trend-predictor for the overall General Election result. Dame Dixon here standing in Hove and Portslade on a ticket of fun, magic and lovely frocks. 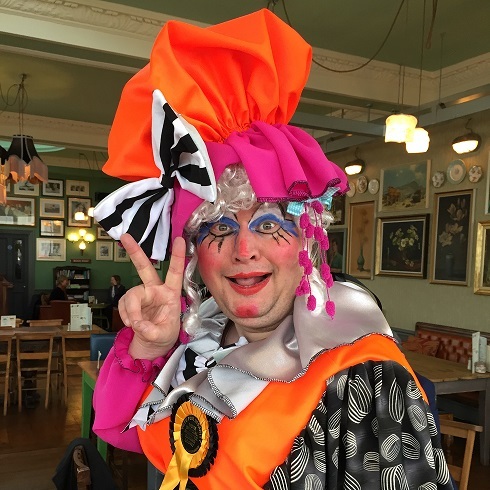 Dame Dixon is a Hove based professional Pantomime Dame known in the Theatre as Jolyon Dixon – his real name is Jon Dixon and here’s the shocker he is actually a man! Invite them for tea and cakes every 9th Thursday of the month. I offer a place for disenfranchised disaffected people to cast their hard fought for right to vote. Immigration is a vital part of the Hove and Portslade Community and should be encouraged. Circus Skills Acadamies and Jelly Making courses should help. Vote to stay in Europe – the home of nice cheap wine and where they invented chocolate. plus surely if we vote to leave we are then stopping ourselves from entering Eurovision!